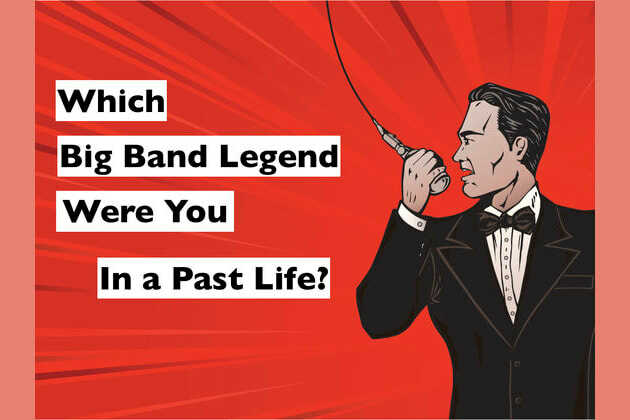 Which Big Band Legend Were You In A Past Life? What's your idea of a "good night out"? Which instrument would you choose to play? Which country would you like to live in, in the 1940's? You were the big, bold Louis Armstrong in your past life. He wrote songs like "What a Wonderful World", "Mack the Knife" and "When the Saints". People called him "Satchmo", for...I don't know what reason, but maybe you do'? You were the American big band star, Benny Goodman. He started out as a clarinetist and slowly became a swing music sensation. He wrote songs like "Sing, Sing, Sing", "Stomping' At The Savoy" and "After You've Gone". I betcha anything your grandpa LOVED Duke Ellington. He wrote songs like "It Don't Mean A Thing", "Take The A Train" and "Sophisticated Lady". He's the definition of class and traditional tunes. Ella was a class act back in the day. She had a ton of soul and had the voice of an angel. She sang songs like "Summertime", "Dream A Little Dream Of Me" and "A Tisket, A Tasket". Remember those great musicians of the 1940's? Ella Fitzgerald, Duke Ellington, Louis Armstrong, the list goes on and on. Which big band musician do you share a soul with? Find out who you were in your past life by taking this quiz!